The H500 Overwatch Edition retails for US$149.99 and features the game's black, white and orange colouring. 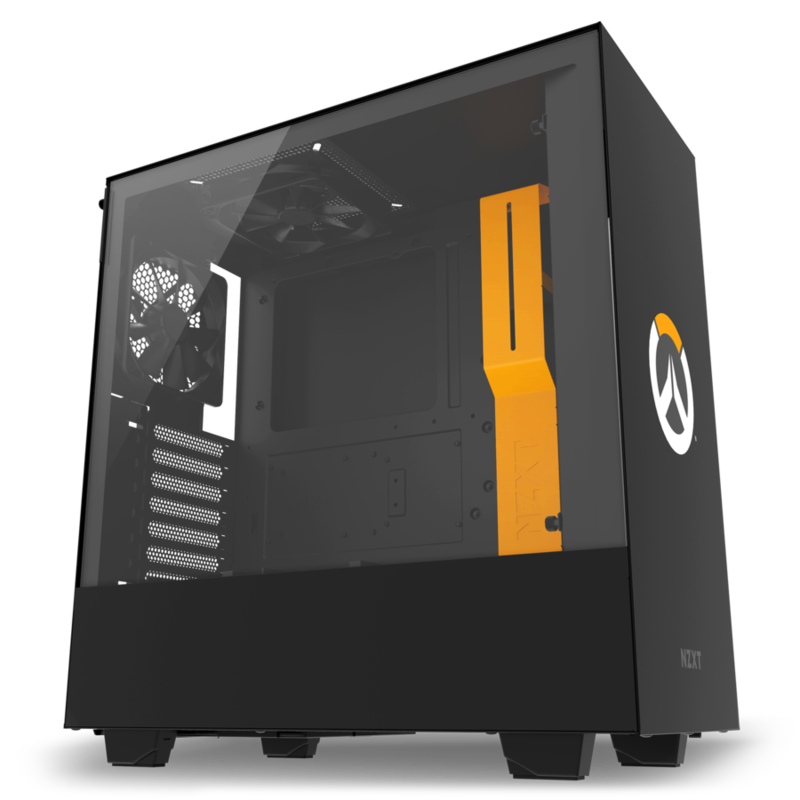 There is a backlit Overwatch logo too and a tempered glass panel to show off your build. Do you want to show off how much you like Overwatch? 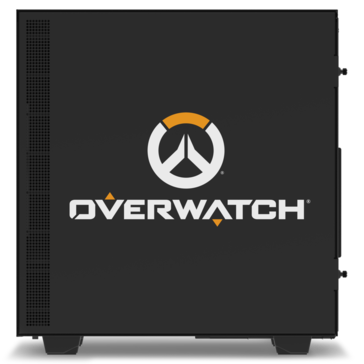 Well, NZXT and Blizzard Entertainment have joined forces to create a special Overwatch edition of the former's H500 mid-tower case. 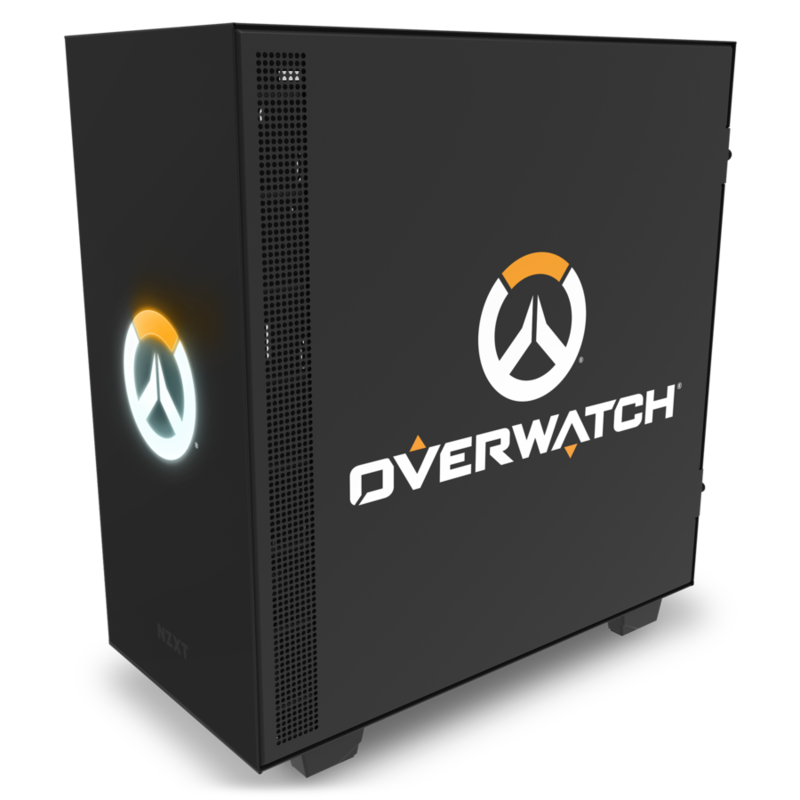 The H500 Overwatch Edition, as it is imaginatively called, features a huge backlit Overwatch logo on the front and more Overwatch branding on its one steel side panel. The Overwatch theme continues inside too, which can be seen through the case's tempered glass side panel. The H500 has a striking orange cable bar within which you can hide your build's various cables. 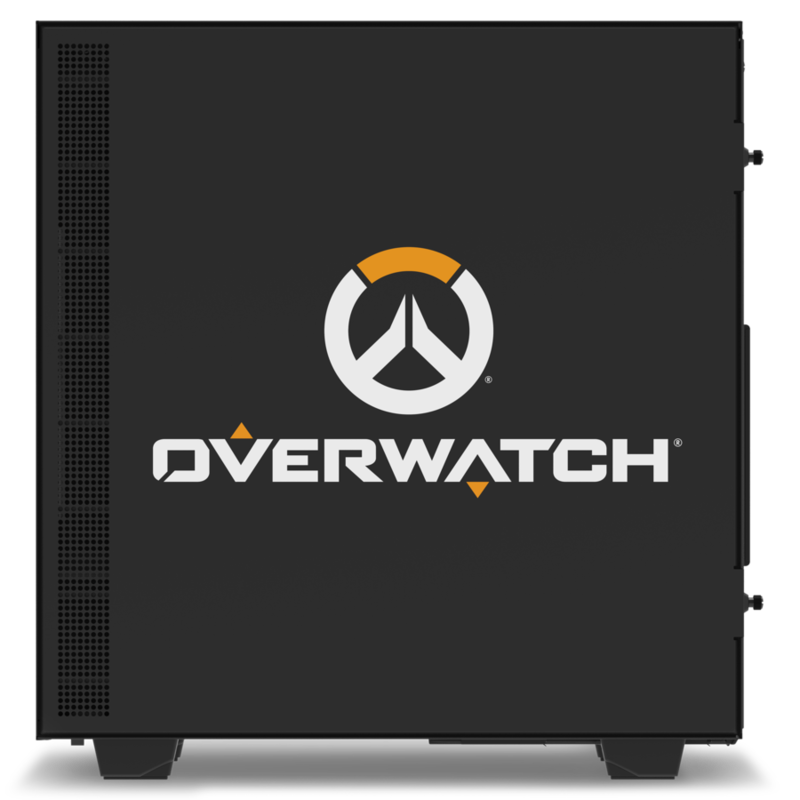 Besides the Overwatch branding and colouring, the H500 Overwatch Edition is identical to its regular and much cheaper sibling. The H500 measures 21 x 43.5 x 42.8 cm and can house Mini-ITX, MicroATX or ATX motherboards, while it can also accommodate 38.1 cm long GPUs and 16.5 cm tall CPU coolers. 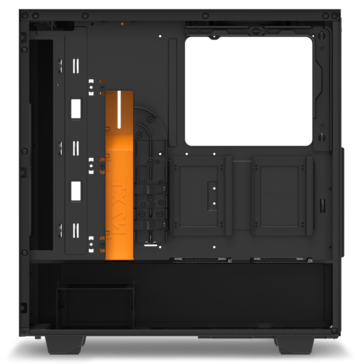 There is a dedicated space at the bottom of the case for a power supply too. 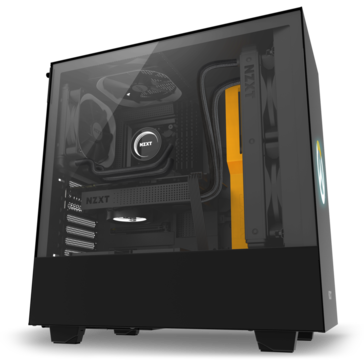 NZXT has equipped the H500 with 12 cm fans on its front and back panels, but you could use a water cooler on the front instead or, up to two 14 cm fans. 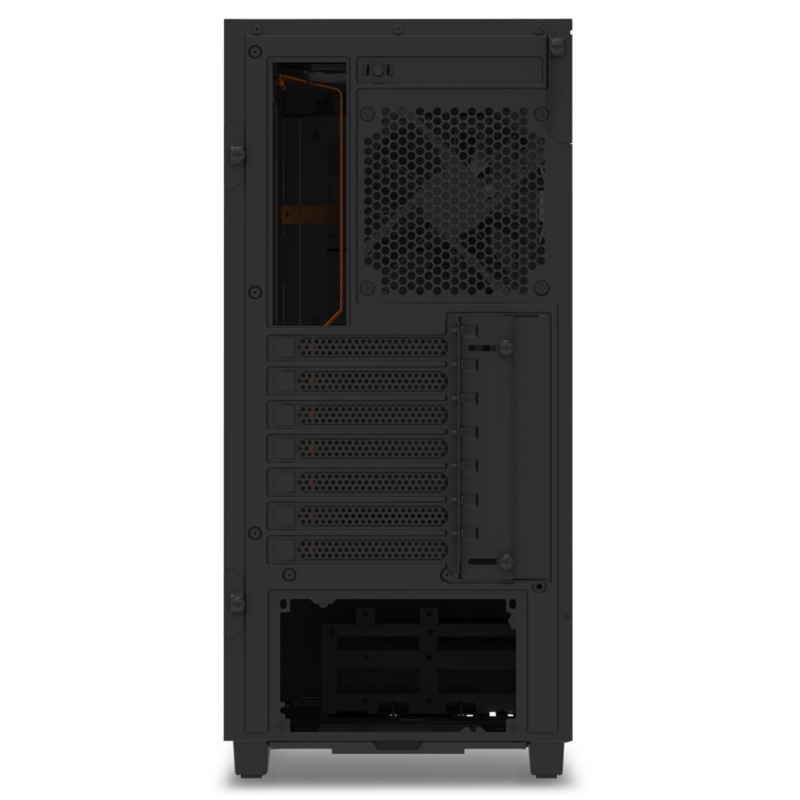 Moreover, the case also has seven expansion slots, two 2.5-inch drive bays, two 3.5-inch drive bays and a bay that takes either a 2.5-inch or 3.5-inch additional drive. The H500 has two USB 3.1 Gen 1 ports too along with dedicated 3.5 mm headphone and microphone jacks. 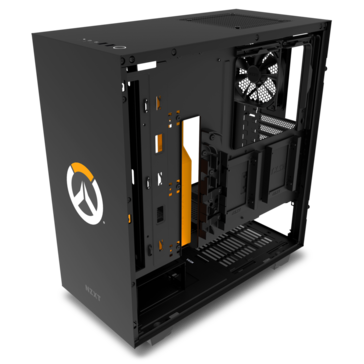 The NZXT H500 Overwatch Edition currently retails for US$150 and is available from major suppliers like Amazon, Best Buy and Newegg among others.